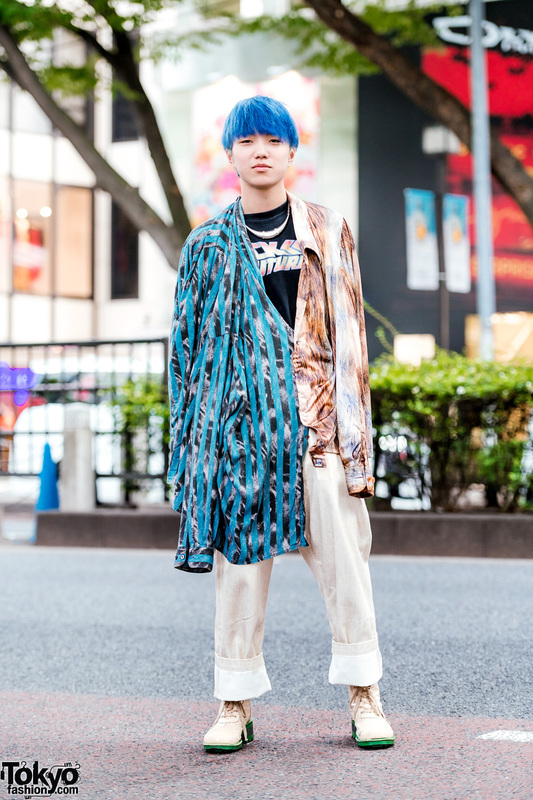 Japanese fashion model sporting a stylish knitwear look with vintage bowler bag, newsboy hat & fur muffler. 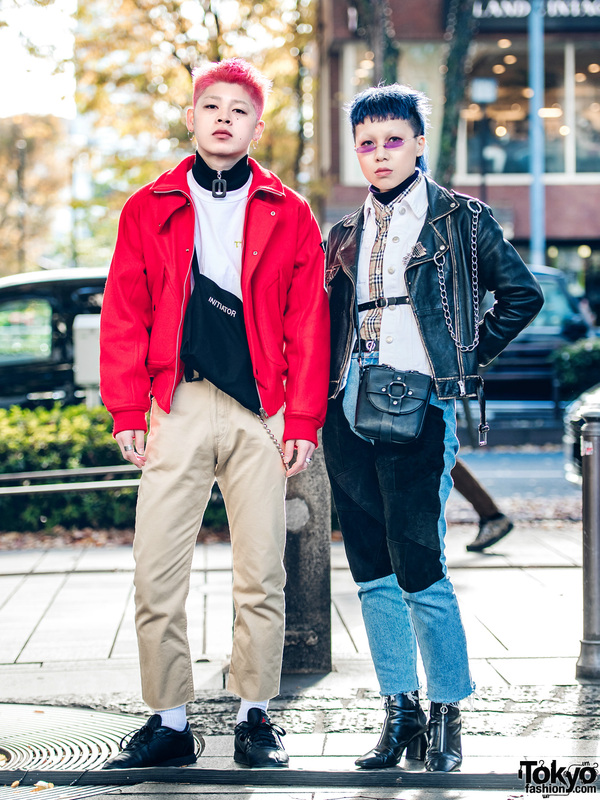 Harajuku trio in winter streetwear fashion with bomber jacket over striped sweater, drawstring pants, two-tone sneakers, a belted maxi coat, tan pants and heeled booties, shiny coat over turtleneck sweater, cropped pants and black sneakers. 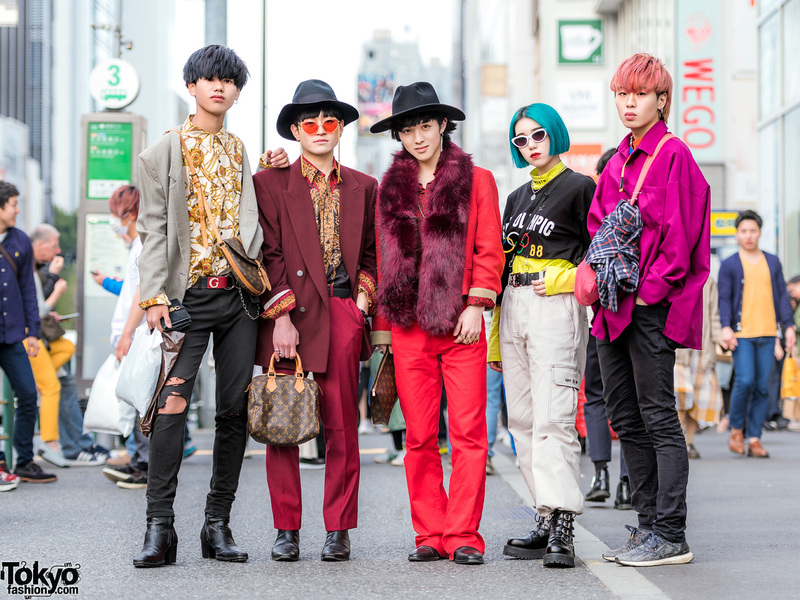 Harajuku duo in red and blue hair and street fashion styles while out and about the street.